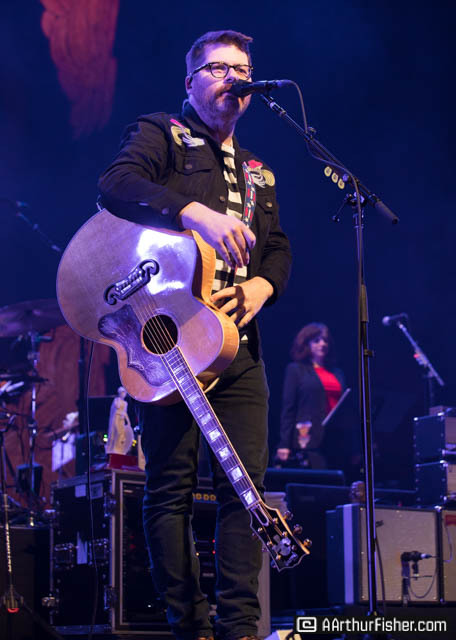 Portland indie rockers The Decemberists took the stage at The Arlington Theatre Friday night in front of an enthusiastic crowd. 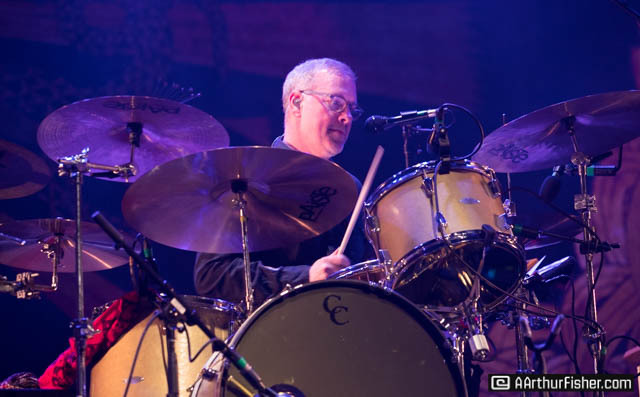 The band’s setlist traversed their career as they played a mix of older tracks, big hits and songs off their newly released album I’ll Be Your Girl. 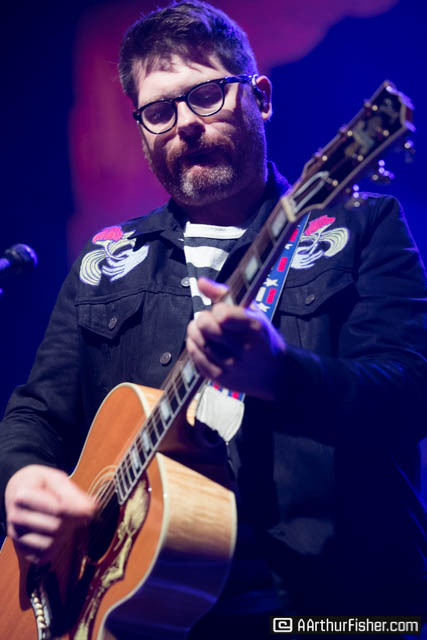 Seven members strong, including charismatic frontman Colin Meloy, the Decemberists entertained with music, humor and banter for a full two hours. 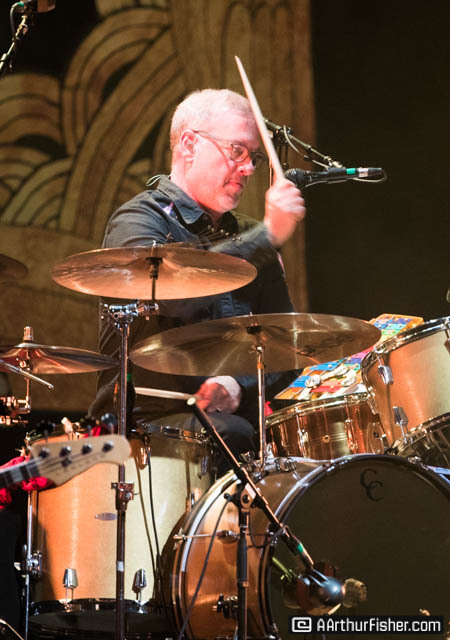 After the opening song “Your Ghost,” Meloy warned the crowd that there would be many more songs about the end of the world. 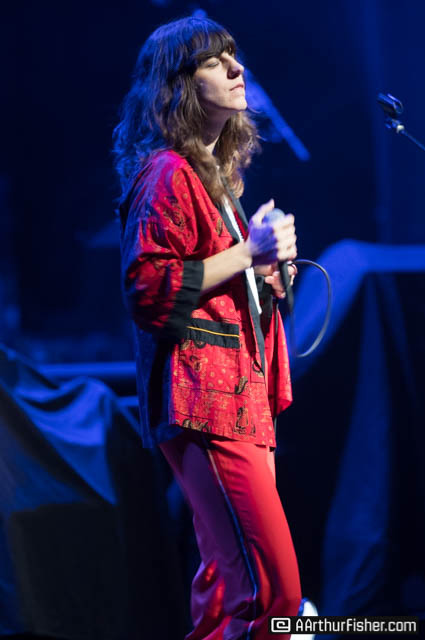 They broke directly into their 2011 hit “Calamity Song,” whose opening lines are: “Had a Dream/ You and me and The War of The End Times/ And I believe California succumbed to the fault line”, which got some curious cheers from the excited crowd. 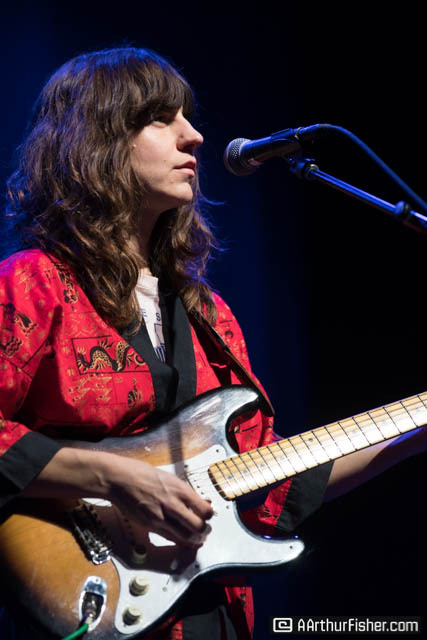 Friday was the first sunny day in the last four, as the central coast endured three days of rain, and thoughts of possible landslides weighed on everyone’s mind, including the band’s. 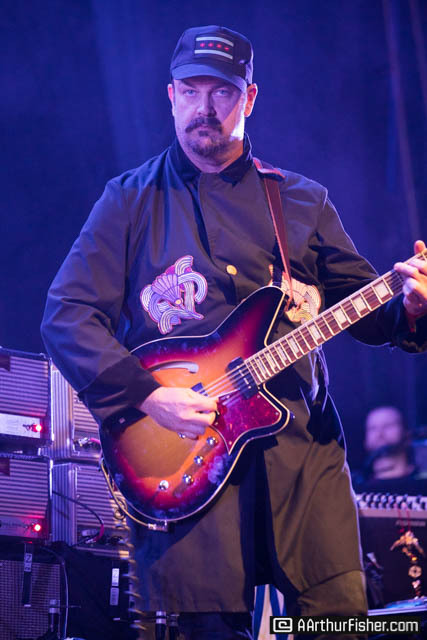 The cancellation of the Decemberists show was a real possibility, which Meloy brought up, saying he was glad the show was able to go on and that Santa Barbara had endured. 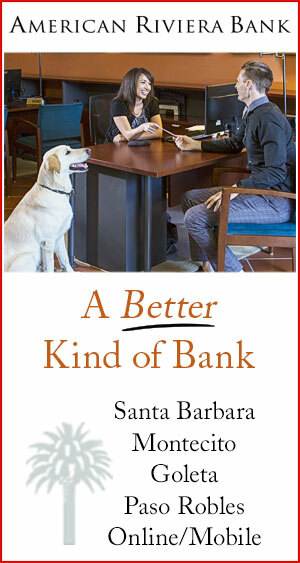 He had kind things to say about our town but not without a little jesting, first, calling Santa Barbara “kind of weird, like a city sized Pottery-Barn,” which was received well by the crowd. Playing in front of a giant skull with glowing spiral eyes, the band played at least five tracks off I’ll Be Your Girl, including the lead single “Severed.” The new album is a bit of a departure from the band’s previous seven albums, straying from their indie roots and mixing in a lot of synth, sometimes sounding more like Depeche Mode than The Decembrists. 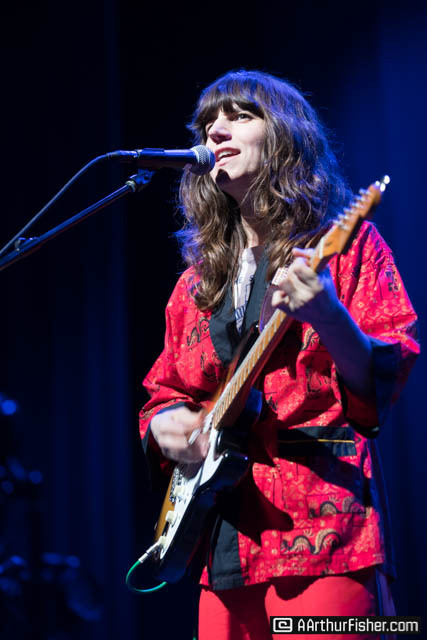 It works well for them as the new songs were the highlight of the show. 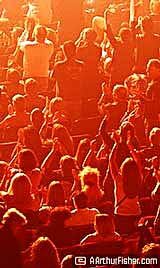 The crowd was eager to participate with the band, often getting out of their seats to dance along to the music. 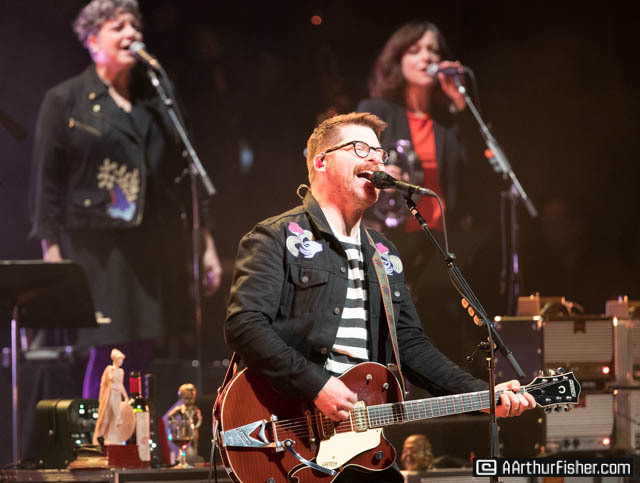 The Decemberists are well known for crowd participation and did not disappoint as the show included confetti-rockets and multiple sing-alongs. 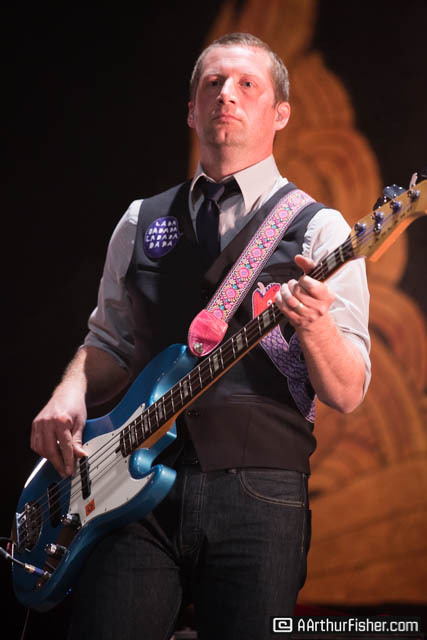 At one point during the encore they brought out a giant, inflatable whale as Meloy urged the crowd to sing along and scream and yell as if they were being swallowed by the whale themselves. 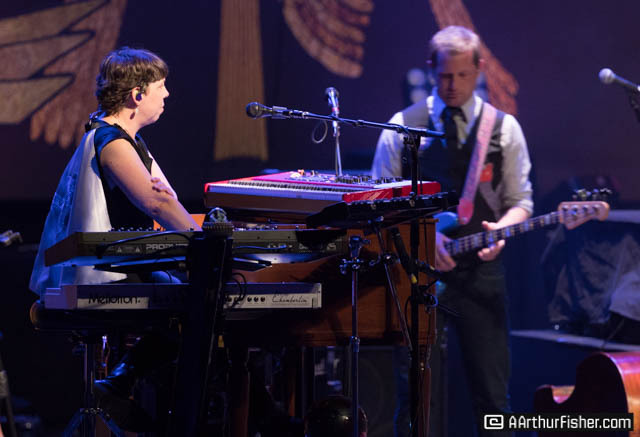 Synth songs, indie songs, songs about the end of the world and sign alongs alike, seeing The Decemberists at The Arlington Theatre was a treat and the crowd knew it. 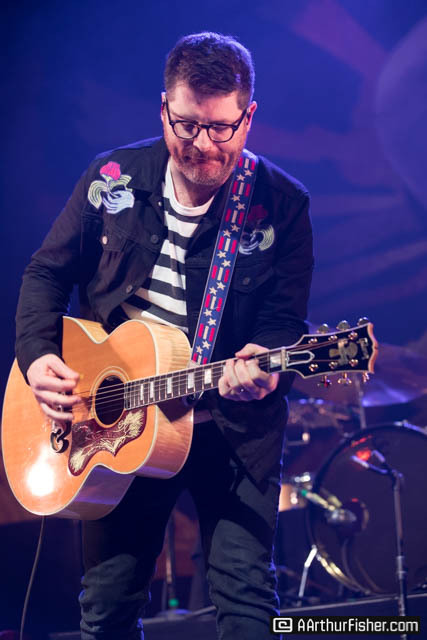 Everyone at The Arlington was happy that the show went on, as they danced and sang with The Decemberists in Santa Barbara, down by the water, down by the old main drag.